She wanted to kill the man who others called a God. With her father’s death shattering her world, Mauri is torn away from everything she had once loved. Anger replacing every emotion within her, she seeks only one thing. To kill her father’s killer. Even if the man is none less than Krishna Vaasudeva, the man who people worshipped as a God! Someone stands in the way, reining in her bitterness when she is the least prepared for it. The Rakshasa Prince Ghatotkacha! But by the time love sprouts within her, Mauri has gone too far in her thirst for vengeance. 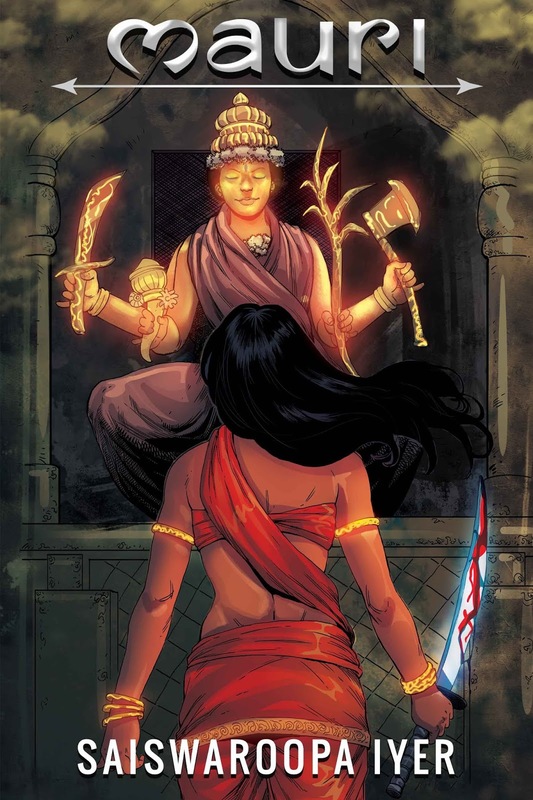 Can Mauri save herself and Ghatotkacha before the consequences of her own actions can destroy both their worlds? Mauri peered through the gap. She could count up to six guards furiously searching for the culprit who had dared strike Krishna Vaasudeva. The foolhardy nature of her attempt struck her now. How had she even dreamt of escaping the heavily guarded palace after doing what she’d done? Unsure and still guided by her frustration, Mauri followed him towards a secluded section of the vast palace garden. When she left the place a good couple of hours later, her mind reeled at the task before her. It was too much, what the Rakshasa had asked of her. But she could not have afforded to be caught by the palace guards. Possibly she could have lied about her aim going wrong when she was trying to get some fruit. The news would still have travelled to Dhatri, though, and who knew how she would react? On the other hand, the prospects that this Rakshasa promised, though at great risk, seemed more welcome. Mauri continued to walk in a daze, aimless and unmindful of the maze of paths. A shrill cry calling out to her brought her back to this world. “Mauri! Where on earth did you disappear? !”Nandini ran up to her, and not very far behind was Dhatri! She saw Dhatri halt in her steps and look visibly delighted. She heard Nandini squeal with joy. Neither had a clue of what was going on in her mind. When they left Indraprastha later in the day, Mauri looked back at the glorious looking arch receding into the distance. She had not taken leave of Ghatotkacha. It would have been nice to see him just one more time! 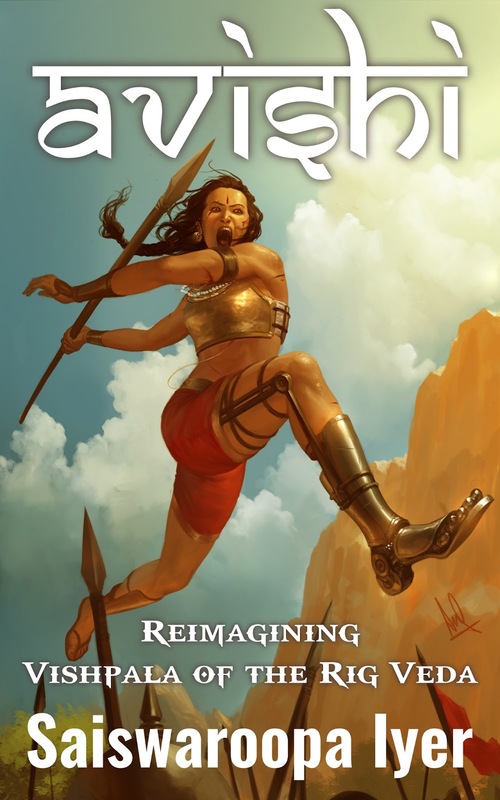 Formerly an analyst with a Venture capital firm, Saiswaroopa currently writes Puranic fiction, with a focus on lesser known heroines of Ancient India. Mauri is her third work of fiction after Abhaya and Avishi. Her interests include Carnatic Music, Philosophy, History and Literature of India. She won a state level gold medal from TTD in rendering Annamacharya Kritis. 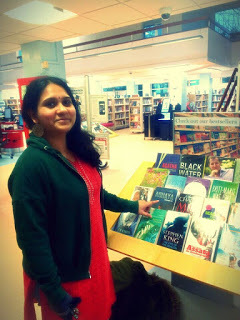 She holds an MBA from Indian Institute of Technology Kharagpur.